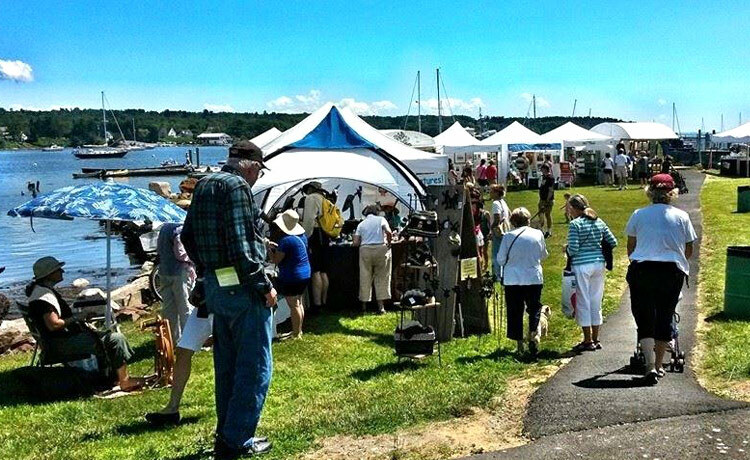 Arts in the Park is one of the most respected fine arts and crafts festivals in Midcoast Maine. The variety of artwork and crafts is outstanding, and continuous live music and the smells of freshly grilled food add to the festival atmosphere. The venue is undeniably beautiful: set on the water’s edge, right downtown, with sailboats and dinghies moored a few feet away.